The highest climb ever in the Tour de France was the Col de la Bonette (2715m) in the 2008 Tour de France. 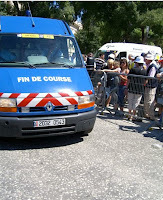 The modern Tour typically has 21 daily stages, 2 rest days, and usually not more than 3,500 km (2,200 miles) of riding. The longest Tour was in 1926 at 5,745 km, the shortest in 1904 at 2,428 km. The Tour's first fatality was Adolphe Hélière, who was electrocuted by a jellyfish while bathing in Nice during a rest day in 1910. The broom wagon was introduced in 1910 to pick up the cyclists that abandoned during the race. 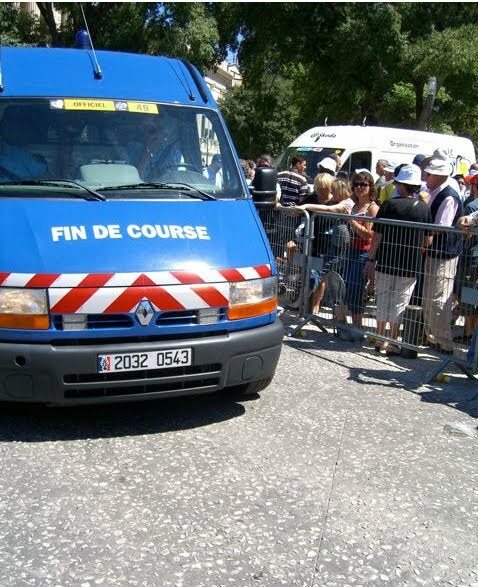 It was first used during Stage 10, in the Pyrénees. 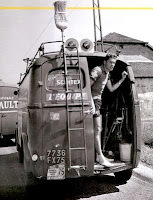 In 1910 cyclists were allowed to finish the stage in the broom wagon and still start again the following day.